Located in the heart of the Hollymead neighborhood, on a cul-de-sac with lake views from the back deck. Updated kitchen featuring granite counters, SS under mount sink, new Whirlpool appliances incl a double oven/stove combo and ceramic tile floors. Cozy living room off the kitchen with a wood burning fireplace. Hardwood floors throughout the family/dining room and the entire 2nd level. Partially finished walk-out basement features a great rec room. New washer/dryer and Trane HVAC system (2003). Fully fenced in back yard and plenty of off-street parking. 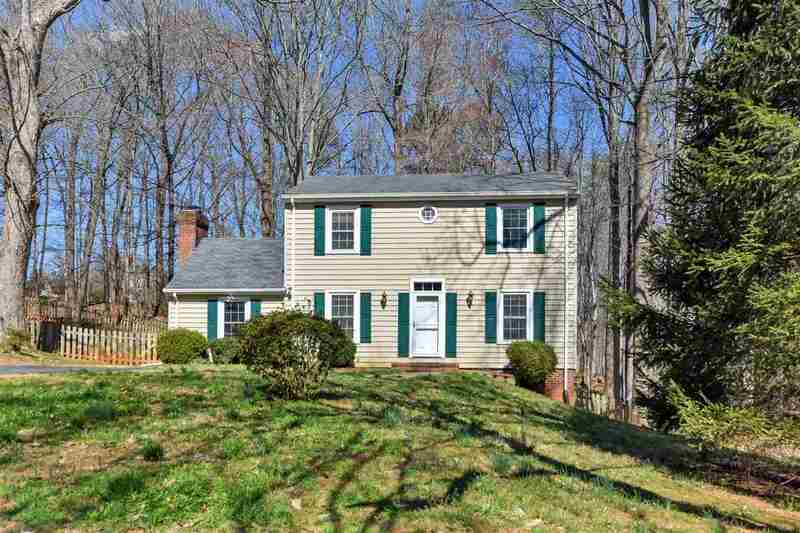 Please, send me more information on this property: MLS# 588969 – $330,000 – 1770 Sourwood Pl, Charlottesville, VA 22911.